This month is all about graphic illustration! 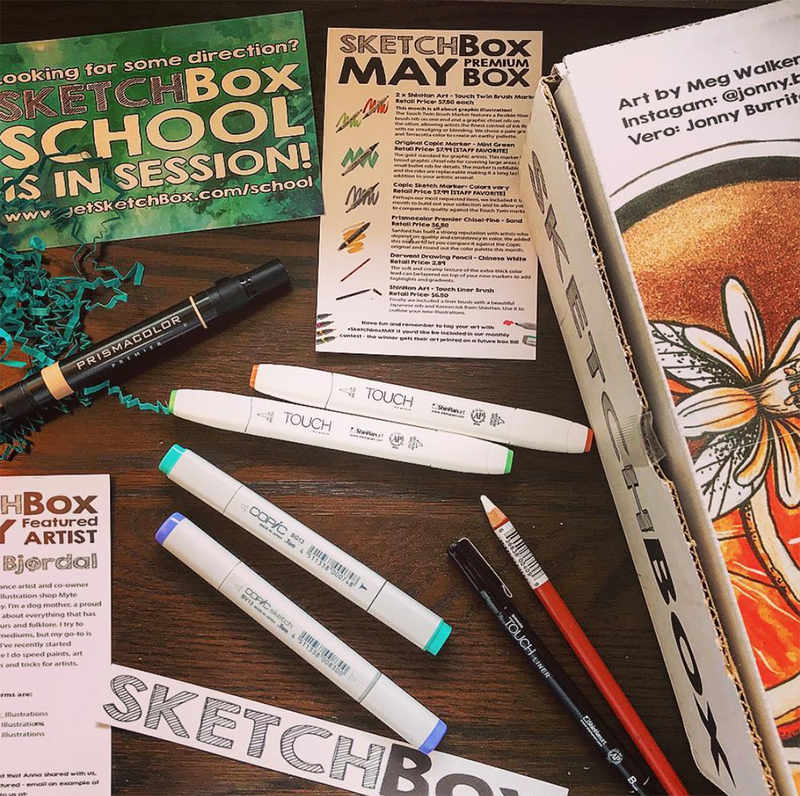 Our May 2018 Premium box includes two ShinHan Art Touch Twin brush markers in pale green and terracotta, an original COPIC marker in mint green, a COPIC Sketch marker (colors vary), a Prismacolor Premier dual-tip marker in sand, a ShinHan Art Touch Liner brush pen, and a Derwent drawing pencil in chinese white. Photo by the amazing @karma.go.